If you are an Apple Music subscriber and mainly listen to the songs without any other intention, you may not feel the inconvenience brought by the DRM protection implemented on the tracks, or you are even not aware of that Apple Music tracks are DRM protected. However when you want to sync Apple Music songs to your iPod or copy to MP3 player, or want to use them as background music, you will find that DRM protection is really annoying and you may want to get rid of it with an Apple Music DRM removal solution. Apple Music Converter is absolutely perfect for removing DRM from Apple Music and you can download the free trial version to have a test first. DRM is the abbreviation of Digital Rights Management. It is a set of access control technologies and is mainly used to restrict the use of digital contents like music, movies and books. 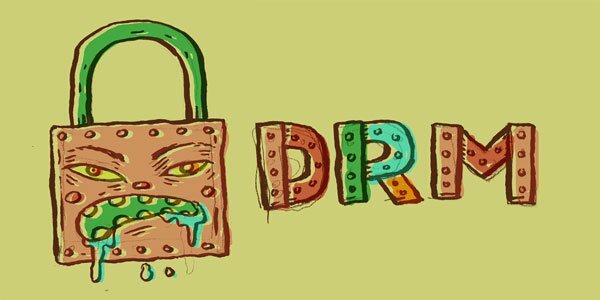 Apple, Amazon, Microsoft and many different companies developed its own DRM technologies and apply to different services. When it comes to Apple, Apple also implements DRM protection on Apple Music, movies, TV shows, music videos and audiobooks. As to Apple Music, Apple allows you to enjoy the tracks on Windows 7 or later, Mac 10.9.5 or later, iPhone/iPad/iPod Touch with iOS 8.4 or later, Apple TV 4 or later and Android mobile phones with Android 4.3 or later. If you only listen to Apple Music songs on the mentioned devices, there won't be any inconvenience, however, DRM protection on Apple Music actually brings serious inconvenience on different scenarios, below are some examples. Apple Music can't be synced to Apple own devices like iPod Nano, iPod Shuffle, iPod Classic and iPod Touch 4. Apple Music can't be played on PSP, Walkman, Android tablets, Kindle Fire and various MP3 players. Apple Music can't be used as background music in various video editing or disc authoring software like iMovie, Final Cut Pro, DVDStyler, Fimora, etc. Apple Music can't be copied to SD card, flash memory, USB hard drive and various storage devices. Apple Music can't be burned to CD, DVD or Blu-ray for backup. Apple Music can't be set as iPhone or Android's ringtone. Because of various restrictions, many people thought that R stands for Restriction and DRM stands of Digital Restriction Management. Do you notice that iTunes M4V movies, TV shows and M4B audiobooks are limited to Apple devices while Apple Music is available on Android mobile phones? It indicates that Apple addes DRM protection based on benefits and users are not in the first position. That's also why many subscribers want to get an Apple Music DRM removal solution. If you have purchased iTunes M4P music before March 2009, you may know that the songs are also DRM protected. You can burn M4P songs to Audio CD with iTunes, then use any free or paid CD ripper to rip the CD and save as MP3. Now, downloaded Apple music songs are also in M4P format, you may think that you can use the same way like the old M4P files, however, it no longer works because Apple doesn't allow you to burn Apple Music tracks to audio CD. Audio recording software can be used to record Apple Music songs when you are playing them with iTunes. However, there are also several disadvantages with audio recording software. It's time-consuming. You need to spend at least same time as the total duration of playing the songs. Manual splitting is necessary. You may need to stop playing one song and start playing another song manually when automatic split function in the program is not accurate. When recording Apple Music songs, you can't launch any other programs that also play sound. Generally speaking, a virtual sound driver will be installed for recording. It seems that audio recording software is not an ideal DRM removal solution for Apple Music. Is any there Apple Music DRM removal software with fast speed, good audio quality with automatic process? The answer is yes and there are some programs named Apple Music Converter which are much better than audio recording software. We have collected 3 best Apple Music Converters, which are TuneMobie Apple Music Converter, Sidify Apple Music Converter and Tuneskit Apple Music Converter, and compared these Apple Music DRM removal solutions from support input formats, supported output formats, DRM removal functions, saving and usage of ID3 tag, conversion speed and price options. Open the link below to check the side-by-side comparison. The conclusion is that TuneMobie Apple Music Converter is the best Apple Music Converter and Apple Music DRM removal solution. 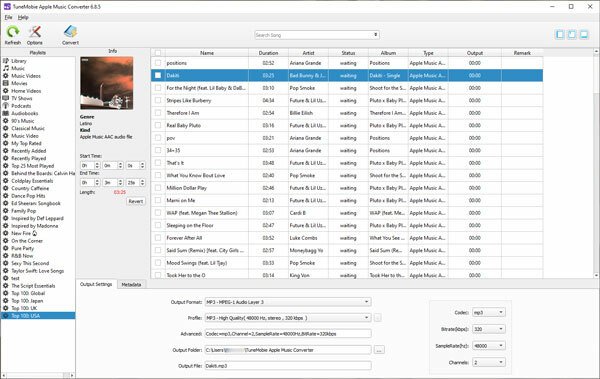 TuneMobie Apple Music Converter can easily remove DRM protection from Apple Music songs and iTunes M4B audiobooks, convert Apple Music, audiobooks, purchased iTunes songs and other iTunes compatible audio files to MP3, M4A, AIFF, FLAC, AC3, AU and MKA. All ID3 tags like song title, artist, album, genre, track number, artwork, etc. will be preserved in the output. Also, you can rename and sort output files in bulk by ID3 and characters. Besides, you can extract audio from DRM-protected M4V movies, TV shows and music videos as well as unprotected home videos you add to iTunes library. TuneMobie Apple Music Converter supports up to 16X faster conversion and help you remove DRM protection from a bunch of Apple Music songs in a short time. There are both Windows and Mac versions and the program is fully compatible with latest Windows 10 and macOS Mojave. What is more, Windows users can convert any Apple Music songs in iTunes library without downloading them first. 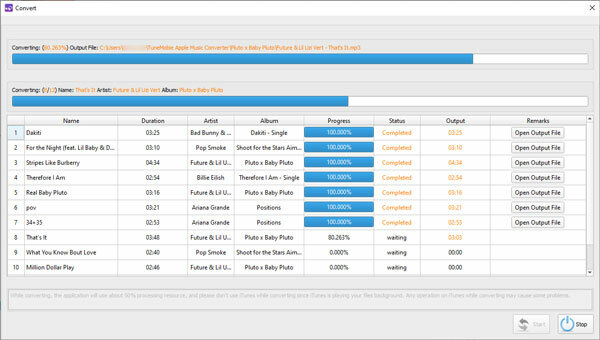 For all the wonderful functions, TuneMobie Apple Music Converter is regarded as the best Apple Music DRM removal software. After removing DRM and converting to MP3 or M4A, you can enjoy your favorite Apple Music songs on any devices and use them as background music in different programs without any limitation. With this DRM removal solution, all the inconveniences brought by DRM protection will disappear. Launch the Apple Music DRM removal software and iTunes will be automatically opened as well. Just keep iTunes running before the task is done and do not operate iTunes. In the left panel, you can find different playlists which are loaded from iTunes library. Apple Music songs are listed in Music playlist and separated Apple Music playlists. You can also use the built-in search box to locate any songs quickly. 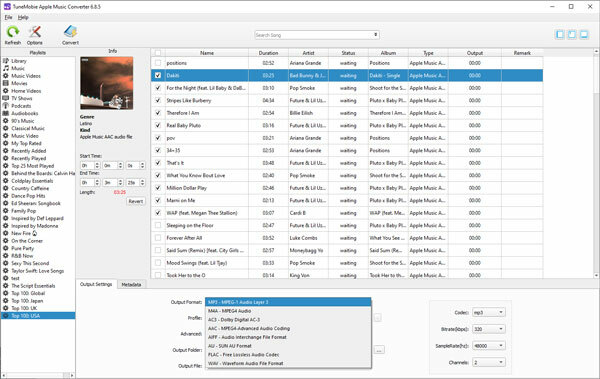 Both MP3 and M4A are all-purpose audio formats, so you can convert DRM-ed Apple Music songs to MP3 or M4A for various purposes. MP3 is the default output format but you can also choose M4A or other audio format in the output format list. And choose output audio quality in profile list. Now simply click Convert button to start conversion and DRM protection added on Apple Music will be removed during the conversion. When conversion is done, you can click "Open output file" button to locate the output files. With TuneMobie Apple Music Converter, Apple Music DRM removal is just as easy as a breeze. No matter how many songs in your iTunes library, you can enjoy them on any device and use them for any software. And you can even keep the songs after your subscription ends. But remember that Apple Music DRM removal solution is only for personal use, you should never use the songs for commercial such as selling the output songs to others. How to Fix "Apple Music Songs Cannot Be Copied to an iPod"
Should You Buy iTunes Music or Subscribe Apple Music?